Many readers will remember the ‘Chamber of Horrors’ which we featured in previous issues. 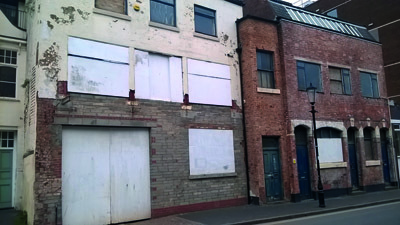 Fortunately, most of the buildings featured have now been restored and even the worst eyesore of all in Legge Lane has now been demolished and under re-build. This just leaves the 3/4 houses on the opposite side of the road. However, new eyesores have sprung to life and these are pictured here. Planning consent was sought some time ago to turn these premises into residential but the application was refused and after stripping out most of the building it is now left in a complete mess. Work on 44 Apartments didn’t come to fruition in Northwood Street, and the ubiquitous car park was allowed. 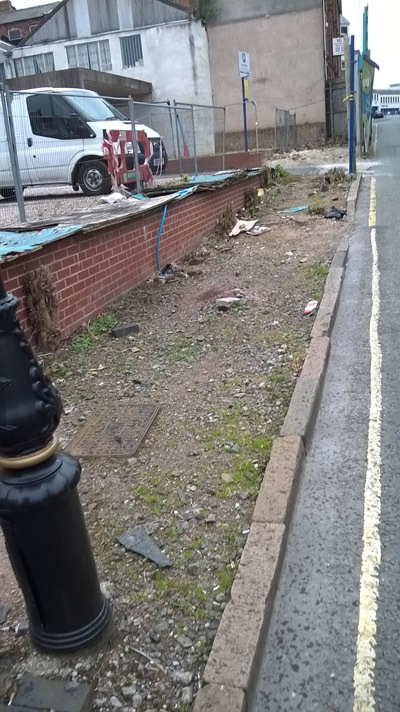 Looking from Caroline Street it does not look too bad, however I had the misfortune to approach it from the other direction and found the pavement all but disappeared into dirt and a pile of rubbish. Looks great in a conservation area! 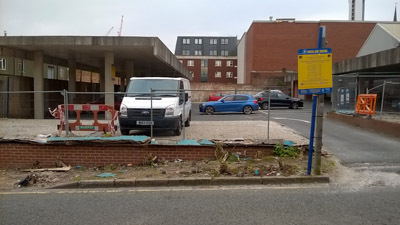 Worse still the pavement then disappears behind a hoarding and a rough step up which has also been left which would be very confusing for the visually impaired! 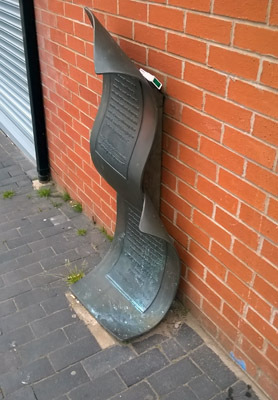 Unfortunately, this is not being cleaned and cared for – There is bad staining around the base and cigarette packets stuck behind the memorial and there are weeds growing along the pavement. Hopefully, the JQBIDS cleaning team will be taking over the care of the memorial. The Lord Mayor of Birmingham, Councillor. The Jewellery Quarter’s favourite Gin Bar. This spring, Craftspace are encouraging Valentine’s. Winter Edition of JQ Life magazine is Out! 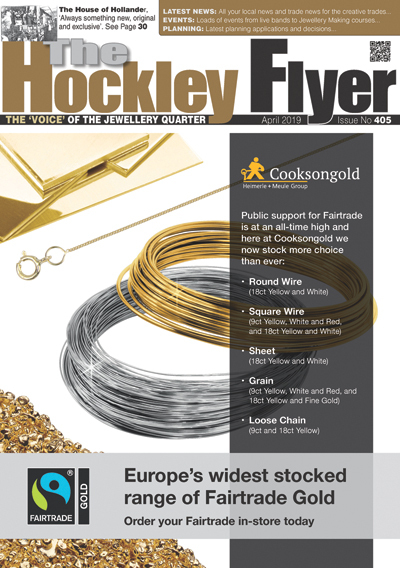 This quarterly publication from the Jewellery. The countdown to Christmas will officially. To help celebrate Heritage Week, the. The Hockley-based Vegan Society has moved.